Disgusted, disappointed and nauseous from the findings of Robert Mueller, I went to see hope last night. Tickets bequeathed to us by a traveling colleague of my husband’s led us to Symphony Hall to see Pulitzer Prize-winning John Meacham. Sadly, I was not acquainted with this brilliant, funny and articulate Southern gentleman until last night. And that is too bad, because he was like that first perfect spring day that descends on Boston right after you think you can not take one more minute of winter, or else you will barricade yourself in a sauna at a fancy gym, or move to Miami. 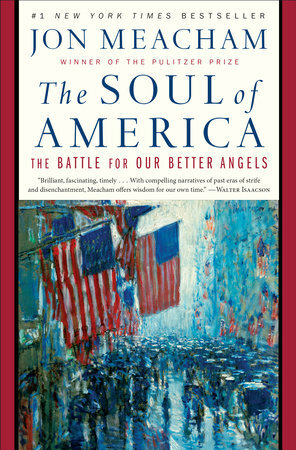 Meacham is a historian and writer. Not normally what I would think of as a funny kind of guy, but he had the crowd rolling on the floor with his spot-on impression of both George Bush’s, 41 and 43, plus several other stories that were told with wit and humor. Meacham’s pitch was that this isn’t the worst time in history, that we’ve been through plenty of presidencies that have divided us, but that we as a country have not only made our way through those times but actually thrived. And he wasn’t spinning tales for the sake of uplifting the audience, he was simply telling the truth. I feel better. Trump is still president, yes, and while he didn’t collude with Russia, he’s not out of the woods yet, in terms of obstruction and then there is the many investigations of the Southern District of New York. But as Meacham pointed out, we’ve been through worse and risen up stronger. This is my hope. And gratitude for that.